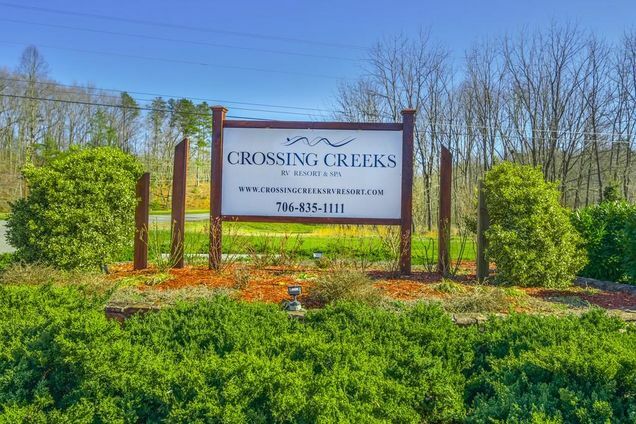 North Georgia's Best RV Resort on 100+ acres BLUE RIDGE MOUNTAINS as your backdrop and the Chattahoochee National Forest is your backyard AKA Playground! Pet Friendly too! 40 x 95 RV lot /concrete pad. 50 amp FHU, (Desirable Pull THRU site) close to amenities;Storage shed-Get close to heaven nestled between Coosa & Anderson Creeks _5 Star Amenities such as Grand Clubhouse, Activities Center, Spa Sauna, Steam Room, Massage chairs, leisure area & spa services by appt; Htd salt water pool, htd 8 person spa, Spotless upgraded bathrooms & showers, Fitness Center & more!!! Hello, I’m interested in 42 Foggy Mountain Road and would like to take a look around. The details on 42 Foggy Mountain Road: This land located in 30512 is currently for sale for $89,900. 42 Foggy Mountain Road is a land with – beds and – baths that has been on Estately for 1 days.